Artist Charlotte Prodger was presented the 2018 Turner Prize at a ceremony in London on Tuesday for a moving-image exhibition comprised of two short films, "Bridgit" and "Stoneymollan Trail," which was filmed entirely on an iPhone. Filmed over the course of a year, "Bridgit" is described as an "unexpectedly expansive" work that explores class and gender identity through autobiographical narration, quotes from well-known books and footage captured by iPhone. The film features scenic shots of the Scottish countryside, a T-shirt haphazardly placed on a radiator, and a kitten playing among other seemingly innocuous imagery, as reported by The Guardian. Prodger said she chose to film on iPhone "because of that ease of use and the way you can use it while you are going about the world. For me, everything is in there." Prodger travels alone which makes a larger camera problematic. This was the "most profound use of a device as prosaic as the iPhone camera that we've seen in art to date," said director of Tate Britain, Alex Farquharson, who also chaired the judging panel. 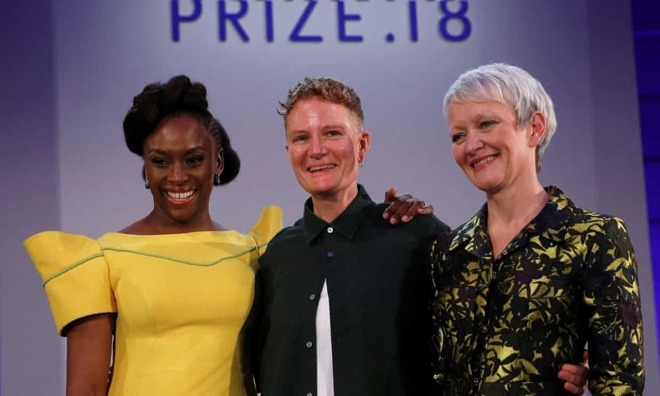 The award — which comes accompanied by a 25,000 pound cash prize — is decided by a jury of four members and goes to an artist for outstanding exhibition or other presentation. Tim Cook took to Twitter as he often does to congratulate Prodger.